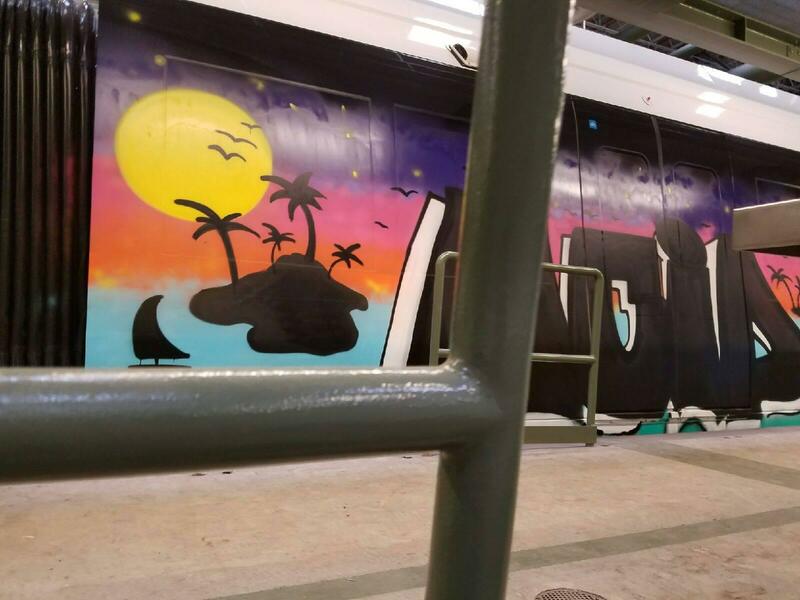 One of Honolulu’s new rail cars has been hit with graffiti. A colorful full length mural depicting an island, palm trees, and a setting sun appeared on one of the four cars in the rail operations center. Bill Brennan is the spokesman for HART. Crews are working to remove the paint and rail officials say insurance will cover the cost of the removal. The center is locked from 4pm till six in the morning, and does have surveillance cameras are in place Officials say they are planning to increase security following this incident. Honolulu Police Department is investigating this case as a burglary. The Honolulu Rail Project cannot be completed based on current revenues. Rail authorities looked at construction options yesterday. HPR’s Wayne Yoshioka reports. The project oversight committee for Honolulu’s Rail transit project conducted a public hearing Tuesday night on plans to relocate utilities in the City’s urban core. HPR’s Wayne Yoshioka reports. The annual spending plan for Honolulu’s elevated rail project is headed to the full City Council for final approval next month. HPR’s Wayne Yoshioka reports.